NASA technology and macrophotography come together to produce a stunning set of images of the real alien ant farm. We might be a little in danger of coming over all Monty Python if we pose the question what has NASA ever done for us? It is a good question, however and one which we will seek to answer in an occasional series of articles, beginning with this one. The real alien ant farm! 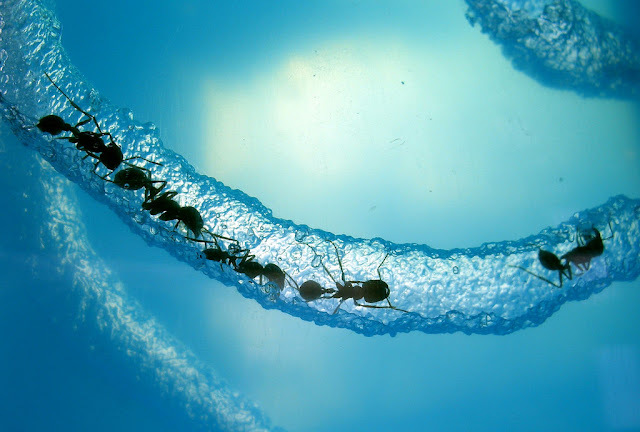 Generations of children have been fascinated by ant farms (not to mention adults who often use the kids wanted one as an excuse) but when it comes to dirt, you can’t really see a great deal of what is going on inside. Enter NASA. 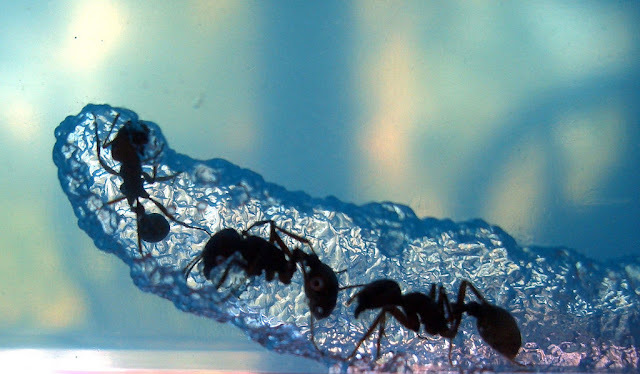 Back in 2003, the Space Agency wanted to see how ants would create their tunnels in zero gravity. However, there was a problem, not so much for Houston but for the ants. The problem was gravity, specifically the almighty amount of it associated with getting a shuttle off terra firma and in to space. If sand had been used then it would shift under the gravity and inevitably crush the life out of the ants. 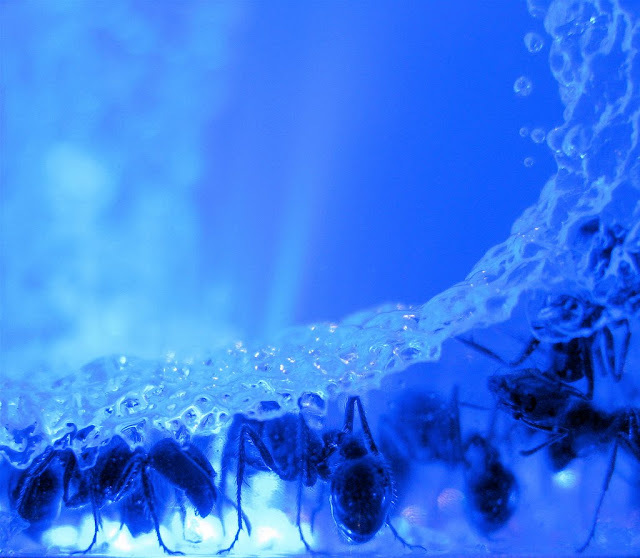 A container full of squished ants would not be very useful for any sort of study in space – unless it was to be a taste test of some kind. 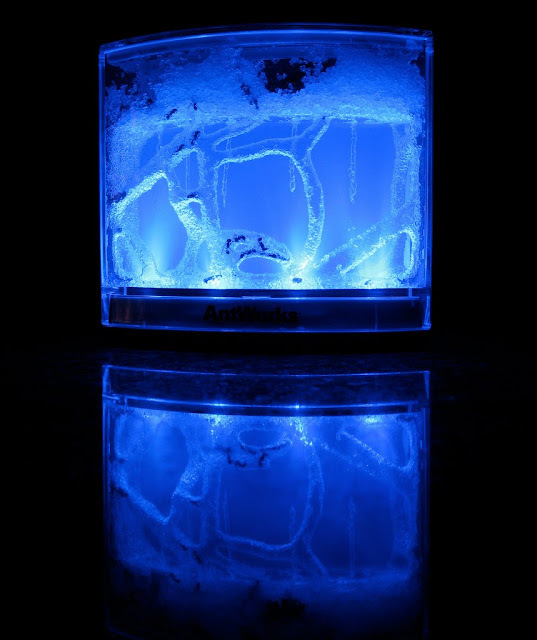 Life and death can be observed through this clear gel. 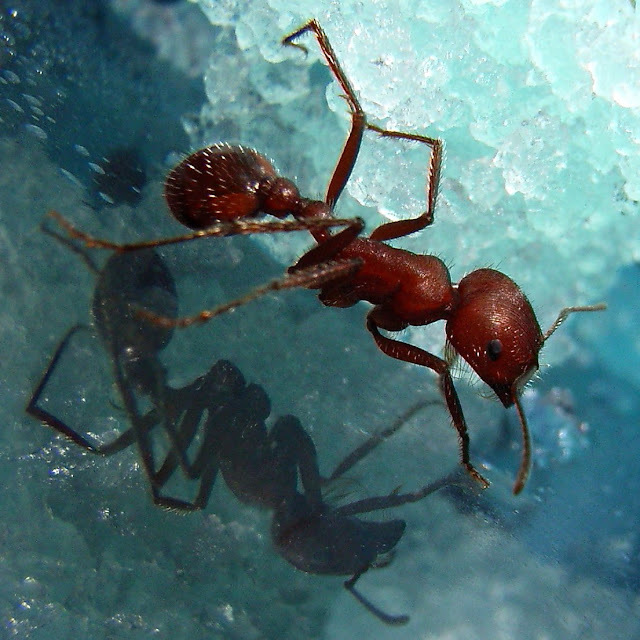 So, how do you get the tiny harvester ants with their powerful jaws and tenacious nature up beyond the blue? NASA rose to the problem and their solution was to create the gel that you can see here. Because of its chemical composition it does not collapse during launch. Wouldn’t that happen to the ants too? 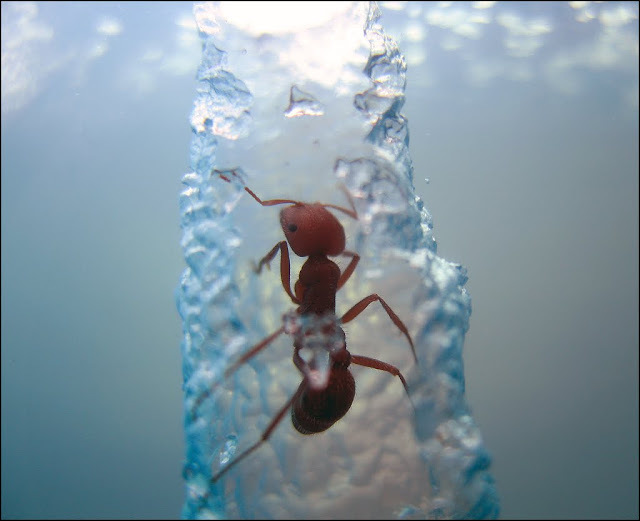 The answer is no – ants are incredibly resilient and able to withstand the G force of lift off with no problem. Hardly a surprise when you consider they can lift up to twenty times their body weight. 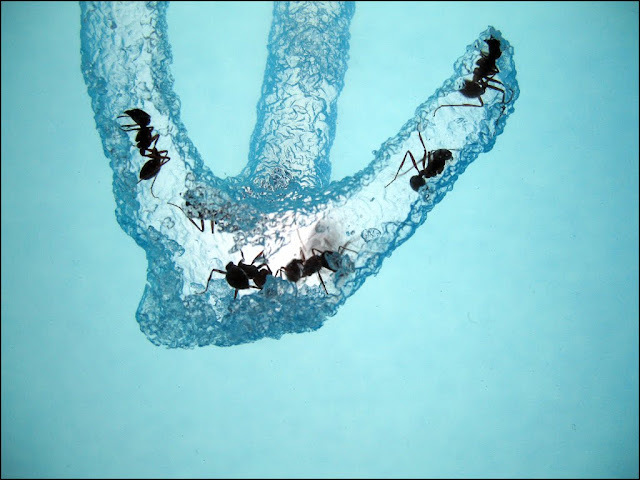 Furthermore, scientists could put all the food and water necessary to sustain the ants on their trip inside the gel. 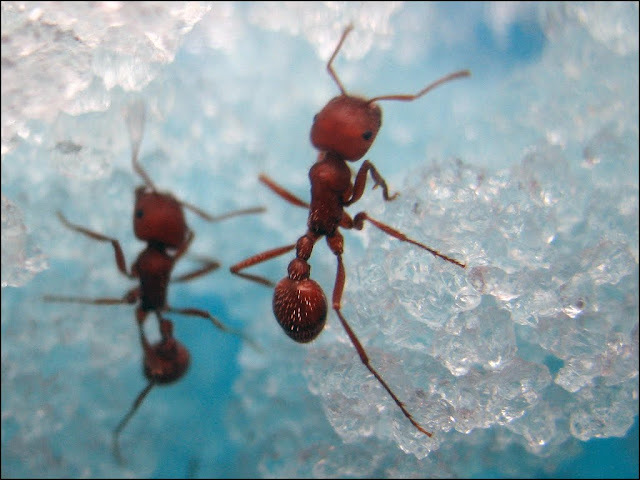 What’s more they were also able to put in anti-fungal agents and antibiotics to help ensure the ants would not get ill! The other main advantage of the gel is that it is clear. 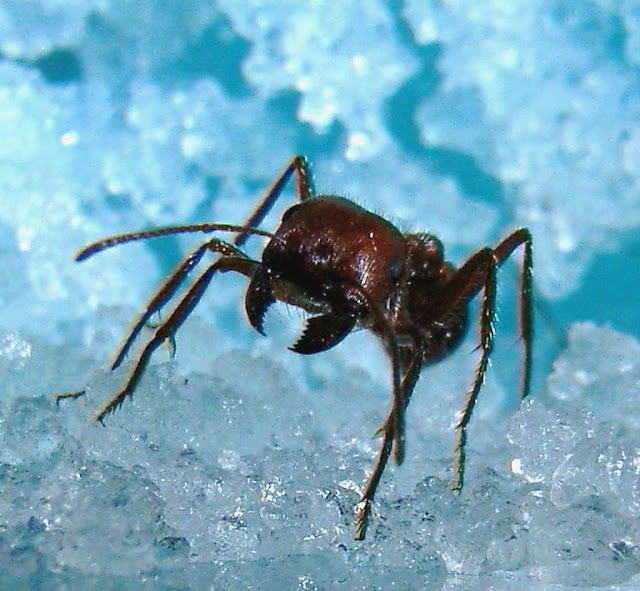 Scientists had always found it difficult to get to grips with how ants did the tunnelling and how exactly they navigated underground because – to state the obvious – they could not observe them doing it properly. 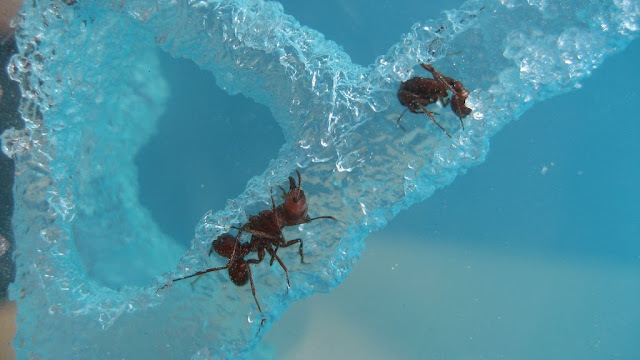 So, you have something that works as both habitat and nutrition for the ants, which meant that all the astronauts had to do was to sit back and observe how they went about the business of tunnelling without any gravity. The answer was pretty much as usual but the question had to be answered. The main difference was that the tunnels were wigglier than those made by the same species in the same gel back home on Earth. 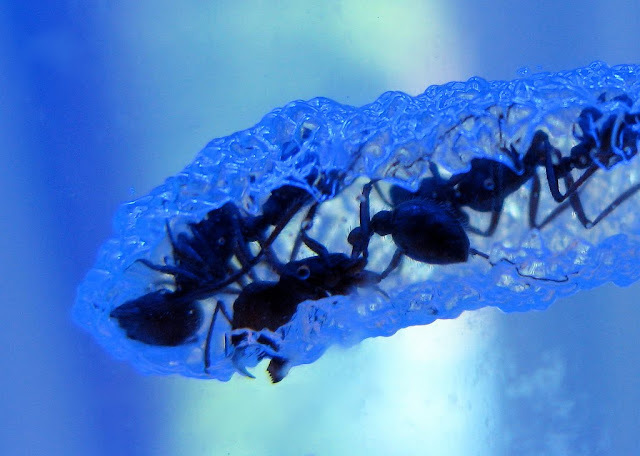 However, business folk were not tardy when it came to recognizing the commercial potential of this amazing aqua blue gel and soon enough the old concept of the ant farm was overhauled to this amazing sight. So, it’s not just users of non-stick frying pans who have benefited from the efforts of NASA after all!